HOUSTON -- This Saturday, Houstonians will gather at the Metropolitan Multi-Service Center to celebrate the 10th Annual Disability Unity and Pride Celebration. Formerly known as the Disability Awareness Month Kick Off, the Disability Unity and Pride Celebration is a gathering of empowerment, advocacy, solidarity and fellowship. The Mayor’s Office for People with Disabilities will host the annual celebration. This year’s theme, “Connecting the Dots: Celebrating Forty Years of Houston’s Transformative Cross-Disability Advocacy”, illustrates the advocacy of Houston’s disability community. "Twenty five years ago, the City of Houston established the Mayor's Office for People with Disabilities and I invite all Houstonians to attend this Saturday's celebration, " said Mayor Sylvester Turner. "Ensuring that the needs and voices of our disabled community are heard is a priority for my administration and vital for the strength of our city." The event will include an exhibit of some of the history of the disability rights movement, and a disability time capsule in which community members will place their visions for an accessible future. The time capsule will be opened in 20 years. The celebration will also include various exhibitors, a disability led onstage program, and lunch. The mission of the Mayor's Office for People with Disabilities (MOPD) is to serve as the primary advocate for the rights and needs of citizens with disabilities. 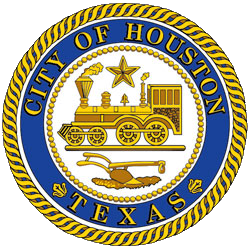 The Office serves as a liaison among the mayor, city council, city departments and other public and private entities on matters pertaining to people with disabilities in Houston. MOPD's vision is a city where everyone understands the importance of equal participation and full inclusion of all citizens, including citizens with disabilities. The 10th Annual Disability and Pride Celebration will take place this Saturday, September 29th from 9:00AM to 1PM at the Metropolitan Multi-Service Center, 1475 West Gray, Houston, Texas 77019. The speaking portion of program will begin at 11:00 am.